We are delighted to announce that we successfully closed our Seed Round of CHF 2.3 Mio. It was made possible thanks to our lead investor investiere.ch, as well as the co-investors Zürcher Kantonal Bank and a group of private business angels. This first financing round will be a cornerstone for achieving our next milestones. It will allow us to finish the product development, demonstrate the performances on the field with multiple pilot installations and prove the reliability with qualification tests. This will result in a blueprint solar panel, ready to disrupt the rapidly growing solar market. Insolight can enable the widespread adoption of solar energy on rooftops, by reducing solar electricity production costs—the critical hurdle for solar power to become cheaper than fossil or nuclear-based electricity. Following an introduction from investiere.ch, Rainer Isenrich, CEO of Edisun Power Europe AG, accepted to join the board of directors. His industrial experience and solar background will tremendously help us in our future key decision making. Everyone in the Insolight team is thrilled to execute the plan and overcome future challenges. Thank you to all the investors who participate in helping us to reach our goal of a more affordable solar energy. 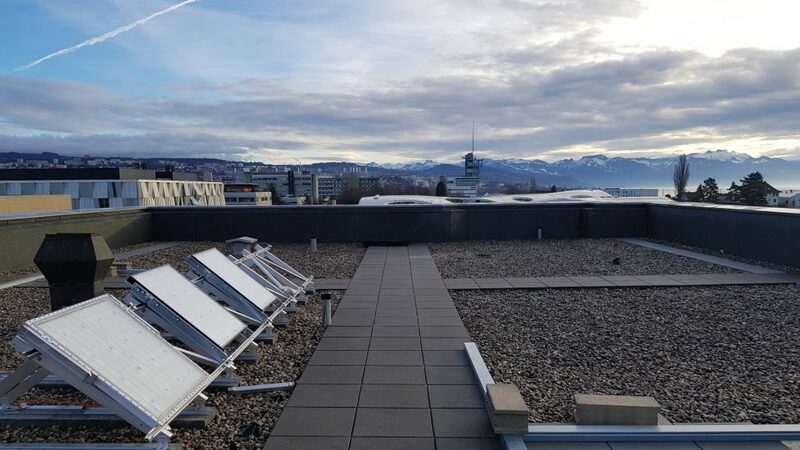 Co-founded by Laurent Coulot, Mathieu Ackermann and Florian Gerlich in September 2015, Insolight is a Swiss start-up developing solar panels with twice the efficiency of conventional panels. Efficiency has a direct impact on return-on-investment for the consumer, effectively lowering the cost of solar electricity. The step-change Insolight is bringing to the market will make solar electricity competitive with other energy sources without subsidies. In August 2016, a third-party validation of Insolight’s technology done by the renowned Fraunhofer-Institut (Freiburg, Germany) has demonstrated a record efficiency of more than 36% – double the market average. Insolight is now well on it’s way to market introduction with its first pilot site already running in Switzerland. Throughout 2018 Insolight is aiming at passing various norms and qualifications that will allow it to enter the market in 2019.